This renowned bay is named after the town that surrounds its southern shoreline. The name originates from Latin, meaning still higher, and is the motto of the early pioneers' home state of New York. 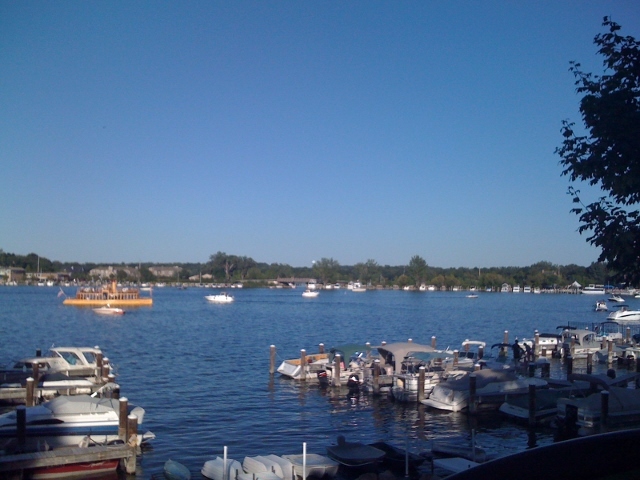 Excelsior Bay is located on the south shores of Lake Minnetonka. Excelsior Bay is a closed throttle/minimum wake bay with public docking. Three restaurants reside on the shoreline; Maynard’s Restaurant, Bayside Bar and Grill and Haskell’s Restaurant. The city of Excelsior and Greenwood line the bay.